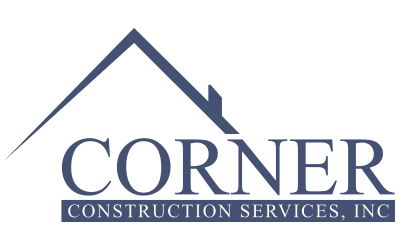 KNOW YOUR.... - Corner Construction Services, Inc.
Every custom home project begins with selecting the right piece of property to put the future house on. Choosing the correct “lot” can be a daunting task and can drastically affect the overall cost of the home you plan to build. Here is a list of some of the most important considerations you need to be aware of before purchasing any lot. There are many considerations in creating a comprehensive construction budget and site-specific conditions make up a large portion of the true cost of construction. The “Know Your Property” series will dive into what you should look for while deciding on a property. I feel the following information is the first step in either making or breaking your custom home budget. What municipality is your lot located in? Corner Construction is located and operates in St. Augustine, Florida… There happen to be several smaller municipalities that govern individual sections of the greater “St. Augustine” area. Each one of these sections has their own governing style and rules. These rules include specific tax rates, building restrictions, utility hookups, and maybe most importantly, Fee Schedules. Which municipality your lot is located in can drastically affect your homes design, timeline, and cost to build. Knowing your municipality’s rules and regulations before purchasing the property will help in developing your preliminary construction plan and may impact whether or not your project is even feasible. Please let us help with these very important decisions before you get too far down the road. We’re happy to help! Is There an HOA or ARB where your lot is located? Whether or not the lot you are considering is within a neighborhood that has an established Homeowners Association (HOA) and or an Architectural Review Board (ARB) can greatly impact your homes design and cost to build. An HOA is an organization of homeowners of a particular residential neighborhood, subdivision, or planned unit development. The purpose of an HOA is to provide a common basis for preserving, maintaining and or enhancing the member’s homes or property. Within some HOA’s lies a sub group of members that are dedicated to governing the homes within adhere to certain design criteria for that neighborhood. These sub groups are often referred to as Architectural review boards or ARB’s. It is very important, when choosing a lot to potentially build on, that you investigate if the neighborhood where your lot is located as an HOA or ARB. Some ARB’s have the authority to dictate how large or small homes must be, what materials that need to be used in construction, and also very specific design elements used on the home. The cost of your new home may be greatly influenced by what is required by the agreed upon design criteria set forth by either the HOA or ARB. Please let us know if you have any question about whether or not the lot you are looking at, is within an HOA. What Flood zone is it located in? FEMA Categorizes communities into Flood Zones based on their location relative to the Ocean. The most hazardous flood zones are V (usually first-row, beach-front properties) and A (usually, but not always, properties near water). What Zone your lot is within can greatly affect the cost to build a custom home. Those costs depended on what danger living in the certain zone present. For instance, if your house is oceanfront, you most likely will have to have a “piling” foundation in order to protect against potential rising oceans. These types of foundations are much more expensive than traditional construction. • The bottom of the lowest horizontal structural member of the lowest floor elevation must be at or above the Base Flood Elevation (BFE). • Enclosed areas below the lowest floor cannot be used for living space. The building must be elevated on piles, piers, posts or column foundation. • Electrical, heating ventilation, plumbing, air conditioning equipment and other service facilities must be elevated to or above the BFE. • The lowest floor elevation must be at or above the Base Flood Elevation (BFE). • Enclosed areas below the lowest floor cannot be used for living space. • Electrical, heating, ventilation, plumbing, air conditioning equipment and other service facilities must be elevated to or above the BFE. • X zones are minimal-risk areas where flood insurance is not mandatory. • D zones are areas that have not been studied, but where flooding is possible. The preceding information is from: flash.org. In order to live comfortably in a house, you’ll need access to a few vital “utilities”. The word utilities, is referring to is a set of services provided to the public for consumption. These services include electricity, water, sewer, telephone, internet, and sometimes gas. If you are building in an established residential area, its likely you’ll have ready access to all of these services mentioned. The question is, at what cost? Sewer and water for instance may be easily obtained, but most municipalities will charge a “tap fee” in order for you to use them. Be sure to check for utility availability prior to purchasing any lot, this may save you from sending your time and money down the drain! Do protected trees or animal habitats exist on the property? You may think, “If I buy a lot, I can do whatever I want with what either lives or exists there”… This is definitely not always the case. It is extremely important to understand if the lot you want to purchase is a known habitat for either endangered plants or animals. This information can greatly impact not only cost, in case relocation of the plant or animal is necessary, but also the home’s design or timetable. In some cases, an animal could be so protected, you can’t build at all while they’re present and relocation is not an option! Building in St. Augustine Florida, we have to contend with these scenarios all the time. For more information, schedule an appointment with us, we’re here to help! Are there considerable topography changes within the lot? Topography, as it relates to a building lot, refers to the arrangement of natural features that exist on the property. Here in St. Augustine, the features that affect building are typically subtle slopes of the ground surface. These slopes can impact the cost and design of your home. The greater the slope or further away from flat land a property is, the greater the impact on the cost and design. We can help you in understanding your property’s topography, call us to schedule an appointment! Are there existing houses on adjacent lots or behind your property? Often times while building on scattered lots throughout our community, there are homes existing on adjacent properties. This can sometimes create a design or cost issue for the new home you would like to build. It is incumbent on the new home being built to control its rain or surface water from encroaching onto neighboring properties. If there is an existing house next to or behind you and is constructed at lower elevation than you would like your house built at, you could run into major yard drainage issues. Because the neighboring house or houses already exist, it is your sole responsibility to control your potential water run-off from affecting the neighbors. These controls can sometimes affect both your home’s design and total costs of construction. It is best to identify these challenges before your lot is purchased. We would be happy to take a look at your lot with you and give our opinions on storm water run off! Is it a corner lot? Some people think having a corner lot is extremely desirable. This is not always the case. If you enjoy front yard landscaping, a corner lot may be exactly what you’re looking forward. If you are a backyard living kind of person, a corner lot may not be the best fit for you. The reason for this is setbacks. A “setback” is a construction term used to define the distance a house or structure needs to be held back or set back from the property lines. These distances can vary from neighborhood to neighborhood, but generally the front of the house is set back further away from the front property line than the other sides are from their respective property lines. What happens when you have a corner lot that fronts a street on two sides? You then have two front yard setbacks, which often times creates a very large front yard and pushes your home toward the rear of the property and the other remaining side. Your back yard size being very small is usually the result. We’d be happy to take a look at any lot you are looking to purchase. We’re here to help! Are there soil types, suitable for traditional construction present on the property? Existing soil on the lot your looking to build on may be the least of your concerns. However, a property’s soil could be a very large factor in designing your soon to be built home there. Being that St. Augustine is a coastal community, some areas have swampy unstable soil present. This soil has to be either removed before your home’s foundation can be constructed or a special type of foundation needs to be used in order for the home to be built on top of the existing soil type. Both scenarios can cost you a lot of unexpected time and money. Let us know if you have concerns about your property’s soil type, we’re glad to help. Is the property located within a historic or preservation district? Building in a historic city, like St. Augustine, comes with many challenges. In order to keep parts of an old city looking and feeling old, often times, preservation districts are created. St. Augustine has many areas that would fall in to this category. If you would like to build or remodel within a preservation district, you will have to follow their rules and procedures. These rules and procedures will absolutely affect your construction timeframe and more than likely will also affect your home’s design and overall cost. It is very important you understand exactly what preservation district your property is within and what challenges come with improving or building there. We would be happy to discuss this with you. What size and or shape is your lot? When looking at a property you would like to build a house on, the size and shape are one of the first considerations you need to take in to account. A survey will be an invaluable tool in evaluating a property. Every property is going to have certain building restriction “lines” you will have to contend with during the home’s design process. These BRL’s should always be indicated on a good survey and could include setbacks, easements, vegetative or conservation buffers, or a multitude of other unnamed restriction lines. Just because the lot you like may be large in size, existing BRL’s could be such that limit your ability to design the appropriate size or shape house for you and your family. When selecting a lot, please always insist on having a current, thorough survey completed with all known BRL’s indicated on it. We would be happy to review the property’s survey with you before you make your purchase. It may affect your decision to buy! Have you ever seen a builder deep in thought while reviewing jobsite plans with beads of sweat dripping from his forehead? Don’t worry he is not performing logarithms or antiderivatives or order to build a home. Plans are a vital tool, if not the most important tool, which gives builders the “foundation” of instructions to build the home that you have always envisioned. Plans are simple and easy to understand but most individuals outside of the trade do not make it past the floor plan and are easily overwhelmed by the vastness of their blueprints. Elevation pages are often the most fun to look at because they offer the viewer a perspective that he or she can relate to. Elevation pages show how vertical surfaces will appear from a certain perspective. For instance, a “Front Elevation” page shows what the home will look like from a viewer standing directly in front of the home while a “Rear Elevation” page will show the home when viewed from behind. Moreover, elevation pages are often much more than a picture to look at; they are usually filled with important information that tells the builder and owner how the home is constructed. Take a look at picture #1. This right-side elevation shows a chimney which indicates a fireplace inside the home. It also has indicators which tell the viewer a page number of the plans to look at and see more detail. This cut-through indicator will show a section of the home from the indicator’s vertical line in the direction of the attached arrow(s). Also included in this elevation is property topography, specific heights of the windows, and several important notes. This second picture is another side elevation which depicts roofing and siding materials, window grid patterns, the design of the garage door, and various other architectural details. A home’s floor plan has a lot of information. It is important to not only view it as an overall layout of the home, but to study it and understand it in its entirety. Though it is a 2 dimensional document, there are often notes and symbols that, if properly understood, can offer a 3D understanding of the home. For example, the picture below has symbols showing that there is to be a step up into the entry and a step down from the family room to the paved living porch. Subsequently, this 2nd picture, a relatively small bathroom, has some really big notes. It is to be handicap accessible so the pocket door must be a certain size, the slab is to be recessed 6” in the shower so that the finished shower floor is without a curb, the glass wall adjacent to the glass door sits atop a 42” high knee wall, the ceiling is 10’ high, and the flooring material is tile. When having plans drawn, it is important to understand your floor plan so that you can better envision how the home will function. A home’s electric plan details very specific features and is one of the most commonly overlooked or ignored section of a home’s blueprints. During the design stage of a custom home, it is important to familiarize oneself with the electric plan and the included legend, which depicts what kind of devices and fixtures are used along with their respective locations. Also noted on electric plans are lines connecting switches so fixtures that indicate where and how lights are turned off and on. Most home designers do a great job laying out fixtures and switches in a way that makes sense for a home, but it is important to include any specific details desired in a custom home in the planning stages to save time and money during the build. For example, many people like to have a refrigerator/freezer in their garage. It is best to make certain that there is adequate available power for the appliance and that the location is correct. In addition to understanding how to read an electric plan, we like to emphasize the importance of knowing one’s habits. If you are like me, upon arriving home, the contents of your pockets are immediately placed on the first encountered horizontal surface. If you are like my wife, this habit drives you crazy. Wisely, an increasing number of our customers are incorporating “drop stations” which are often located inconspicuously near utility entrances where pockets may be emptied or filled upon arrival or departure. It is a good idea to have power outlets in these locations along with usb ports for charging electronic devices. For all house plans there consist of two major components of the prints. The Architectural draws and the structural drawings. While both are very important to any project; each have their own specific function and must coincide with each other. In this “Know Your” segment we will discuss the structural portion of the plan. Structural plans are what builders use to guide them in putting together the “bones” or structure of the project. They are drawn and designed by a registered professional (i.e. engineer or licensed architect) in order to meet current building codes. These are critical to any project and must be followed precisely in order for the building to withstand many different factors like wind, settling, weather conditions etc. Reading and understanding structural plans can take many years of experience to interpret and understand. While its not expected for an owner to know the detail it is good to understand how they can affect the aesthetics and cost of your project. Example: your back porch was designed to maximize the ocean views of your gorgeous property therefore to keep a large span open, the structural plans require a steel beam to be installed. In doing this, your costs are increased due to materials and labor and the aesthetics of the beam can also be affected due to the finish of the beam. Next time your builder says “it can’t be done because it effects the structure” know that this was designed and drawn by a professional to maintain a healthy “skeleton”. It seems obvious that knowing one’s budget is crucial when taking on a construction project of any size, but while it is important to distinguish between knowing how much money a project costs and how that amount of money is allocated toward different tasks and materials needed to complete a project. In this section, we are going to highlight a few budget items that can sometimes be confusing and lead to overages if they are not understood. Check out the links below for a brief overview of these items! In order to “Know Your Budget”, one must first understand what a budget is. One of Merriam-Webster’s definitions is: “a plan for the coordination of resources and expenditures”. Particularly in the construction field, this definition hits the nail on the head. “Budget Pricing”, therefore, is pricing (based on a set of blueprints) that is used to formulate how funds are to be allocated during the progression of a project. Often times, clients are hesitant to have blueprints finalized until they have an idea of the cost of their particular project. This is completely understandable, but one must realize that even the most detailed set of blueprints will involve some degree of guesswork to estimate. The more vague the blueprints, the less accurate the pricing will be. “Budget Pricing” is usually developed on conceptual drawings and is used to get a ballpark figure of the project as a whole. Many contractors and tradesmen are willing to provide budget pricing with the understanding that the final price may vary once complete blueprints are acquired. Size: The size of a project is a large factor in determining its cost. Many people like to use square-foot pricing to estimate the price of a construction project, but not all square-footage is equal. Garages, living areas, and bonus rooms are examples of relatively inexpensive square footage while kitchens, bathrooms, and even mud/laundry rooms can be quite expensive by the square foot. Structure: Like the size of a project, the structure is priced by the plan and the more detailed the plan, the more accurate the pricing will be- particularly if the structural drawings are complete! For example, footers can vary in size depending on the demand of the home. A larger footing with more steel can cost significantly more than a smaller one. Site: Much about a site can be determined by a good survey and site plan, but amounts of fill needed and other environmental issues can sway costs. As our community grows, lots that are easy to build on are becoming more and more scarce which drives the cost of building upward. For more information on this, check out the “Know Your Property” section of our blog. Selections: With regards to construction budgeting, selections offer the most opportunity. There is as much opportunity to save money as there is to your budget! When considering selections such as tile, plumbing fixtures, electric fixtures, flooring, etc., it is imperative be vigilant and shop wisely to keep to keep your “all-in” figure in check!